I am a sucker for anything that brings order and organization to my classroom. One problem that I believe is prevalent in the world of education is motivating a child to do homework. One day, as I was surfing the waves of the internet I stumbled across a webpage www.emyselfandi.com On this website “E” shares her Missing Homework Sheet. I loved the idea but found the form to be a bit juvenile for a high school classroom. So, I used this idea to create one for myself. 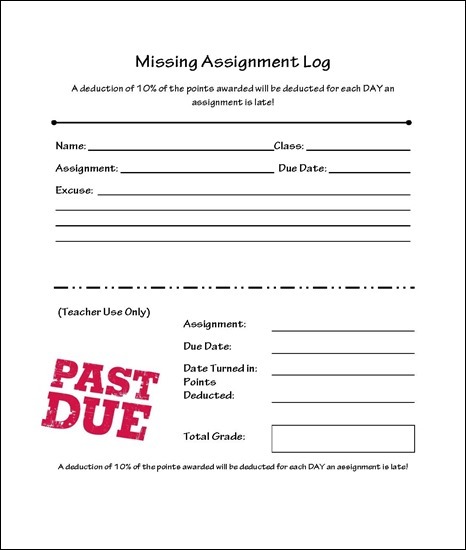 Every student MUST turn in something when an assignment is taken up. 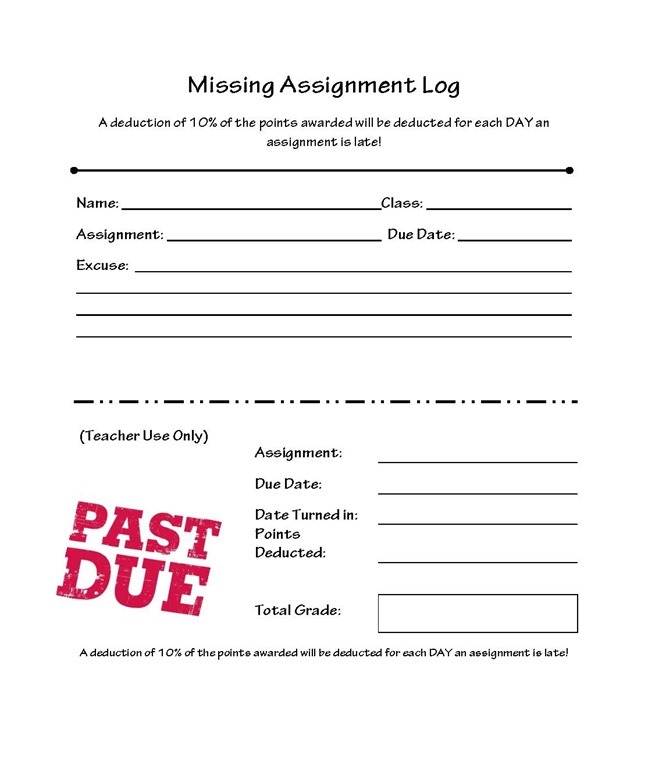 If a student doesn’t have the assignment then he or she must GET UP, WALK ACROSS THE ROOM, GET A FORM, FILL IT OUT, and TURN IT IN with the rest of the class. This is a positive use of peer pressure. Ideally, the form is printed out on a bright colored paper – you know, that obnoxious yellow or caution orange. That way the paper will stick out in your stack of collected papers until the student turns in the assignment. When the late assignment is finally turned in it gets graded and the teacher would fill out the bottom of the form and attach it to the assignment. The teacher then keeps the top portion in the class files for documentation. This entry was posted in Education, Forms and tagged classroom, forms, free, missing assignments on July 10, 2013 by Lyndsey.